We welcome enquiries from picture researchers and editors about reproducing photographs in publications. Here are our Terms & Conditions for Reproducing Photographs. He was a freelance educational writer, photographer and multimedia designer. Prior to founding Badsey Publications he worked for 20 years at the Shell Centre for Mathematical Education at the University of Nottingham, and before that at University College London and the Royal College of Art. 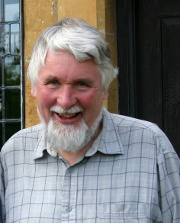 He contributed to many educational publications including Eureka (ITMA), L - A Mathemagical Adventure (ATM), Pressure Mat Programs (Panthera), Numbers: Facts Figures and Fiction (Badsey Publications), Coypu (Shell Centre) and the award-winning Population and Development Database CD-ROM (Population Concern). Here is an archived version of his personal webpage. The Problem Pictures CD-ROMs are still available through Badsey Publications. The book Numbers: Facts, Figures and Fiction also remains in print. Links to this website should be to: www.problempictures.co.uk. The photographs and screen images on this website are copyright and may not be reproduced without permission. Copyright © Richard Phillips 2001/2007. Page updated 16 March 2017.